If you are experiencing pain in one or both heels of your feet, you likely have what is known as plantar fasciitis, also known as heel spur syndrome if a spur is also noticed. Pain in your heels can also be caused by tendonitis, arthritis, stress fractures, irritation in the nerves, or even cysts, in fewer cases. Since there are multiple ways to experience heel pain, it is extremely important to get the pain in your heel diagnosed by podiatrists in Houston. While most people who experience heel pain assume that it goes away over time. In many instances it does not, so if this is the case then this is definitely something for you and your podiatrist to get to the bottom of. Most cases of plantar fasciitis involves either the foot having an arch too wide or simply not wide enough; in other words a flat foot. Both of these foot conditions are considered abnormal to have, as they are faulty foot conditions that can lead to foot problems sooner or later. 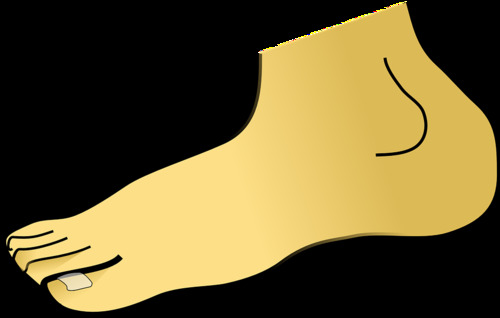 People with this shape of the foot are more likely to deal with plantar fasciitis. Plantar fasciitis can be further aggravated by wearing non-supporting footwear on hard, flat surfaces, standing for several hours a day, and being overweight. The pain in the foot usually is located on the bottom of the heel, but it can also be present in the arch of the foot itself, known as the plantar fascia. Swelling can also occur in the heels as a result from going through some intense pressure. The pain is usually at its worst when standing up, and does not go away over the course of months. According to podiatrists in Houston, people who suffer from plantar fasciitis document pain that is severe after getting up in the morning or standing up after several hours in a chair. The pain usually goes down from walking, due to the movements in the feet stretching the arch of the foot. In some instances, the pain goes away and returns, a stop-and-start situation. A foot surgeon or podiatrist must examine your foot and review any medical history in order to make an informed diagnosis. The podiatrist will consider all kinds of possibilities of what may have caused the heel pain, so that he/she is certain that it is or isn’t plantar fasciitis. Furthermore, imaging procedure, such as x-rays and others will be conducted to help distinguish what kind of pain it is. How severe is the pain, where exactly is the pain located, etc. Heel spurs can also be discovered through x-rays, but they are only sources of pain in rare instances. If a heel spur is present, however, the condition is diagnosed as heel spur syndrome. There are many things that patients can do to treat heel pain before resorting to aid from the podiatrist, and eventually surgery. Firstly, you can always start to do stretching exercises that give the calf muscles a workout. They can help soften and weaken the pain. You can also avoid trying to work out too often every day, and limit yourself to how much exercise or activity you do with your feet. If the pain is just too much for you to bare, we suggest putting a bag of ice or cold vegetables on the heel for 20 minutes every-once-in-a while to help reduce inflammation and swelling. During recovery, you can also take over the counter drugs. Oral non-steroidal anti-inflammatory drugs, such as ibuprofen are the most recommended to treat general pain and inflammation. Mike Haynes is a Fitness & Nutritionist Who Believes in Living a healthy Lifestyle.He Loves to write about Fitness & Nutrition. Fitness-events.com is dedicated to provide Daily Fitness tips, Detailed Fitness Guides & Fitness Gear Reviews.